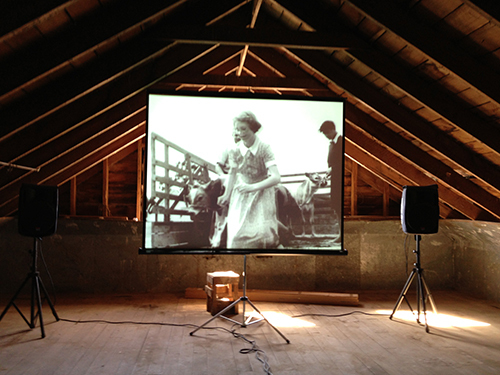 Last week Reel Life in Rural New Zealand – a screening tour organised as part of a partnership between the Film Archive and the New Zealand Historic Places Trust – won the Most Innovative Public Programme category in Museums Aotearoa’s 2014 New Zealand Museum Awards. Jane Paul (NZFA Outreach Screenings Manager) and Zoe Roland (NZHPT Canterbury/West Coast Area Coordinator) were thrilled to accept the shiny trophy at the awards ceremony. 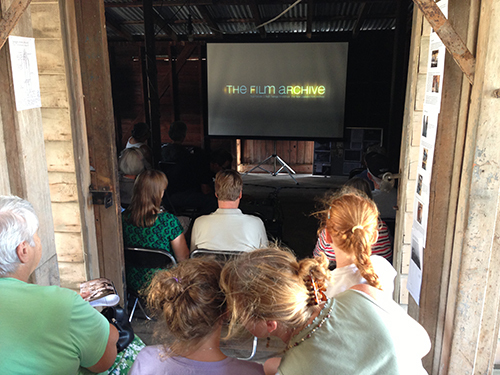 In March 2013 Film Archive and NZHPT staff toured the Reel Life in Rural New Zealand programme of films made in the Wairarapa and Hawke’s Bay regions around five NZHPT registered heritage woolsheds from Maraekakaho to Tinui. 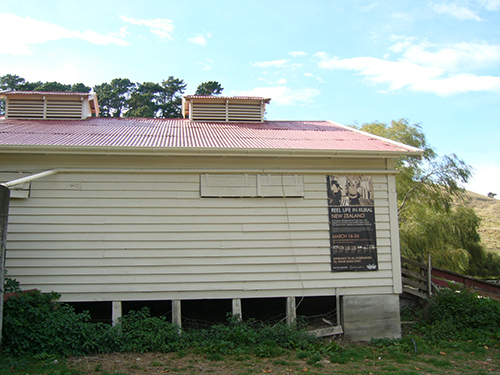 The films featured farming history, shearing gangs, kiwi inventions dating back to 1913, and some of the unique rituals of country life . 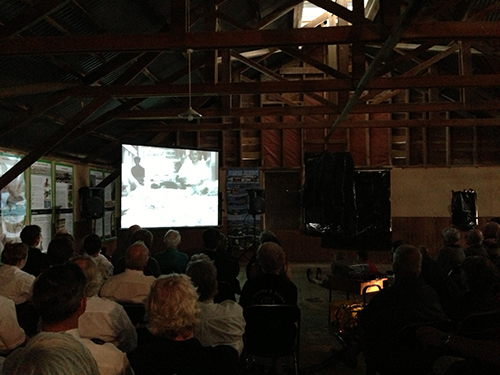 The Film Archive regularly takes films on the road as part of the Travelling Film Show initiative, which takes films from the collections to towns and cities across New Zealand – frequently to the places where the films were made. 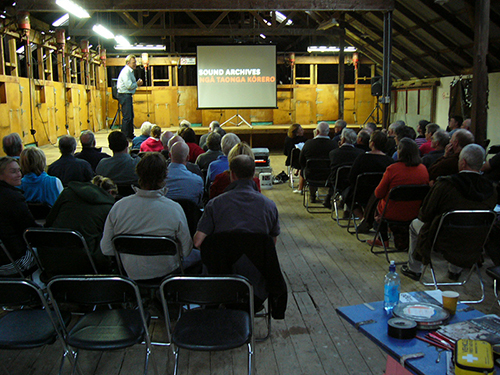 The Reel Life in Rural New Zealand tour was unique though – this was the first time we had screened films in woolsheds! 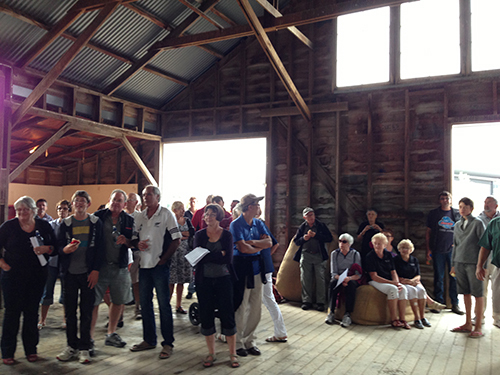 Jane (NZFA Manager Outreach Screenings) checks out the lay of the land at Maraekakaho Woolshed. 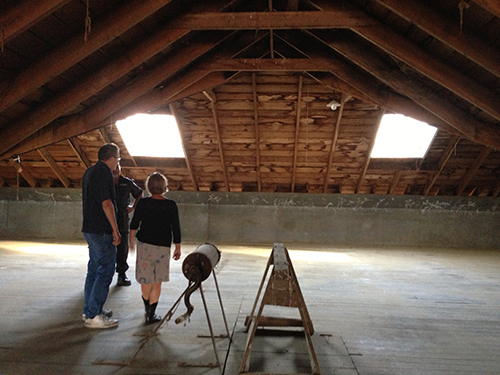 Jane and Alex (NZFA Production Manager) consider how to black out the space. 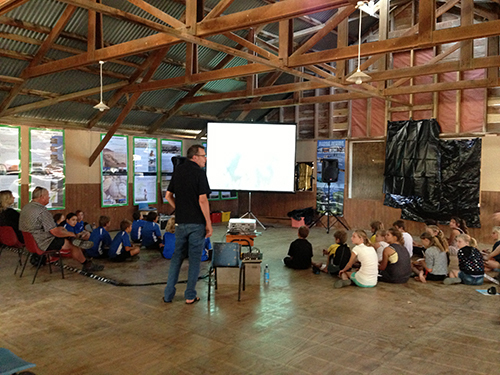 Maraekakaho School arrive for their very own screening. 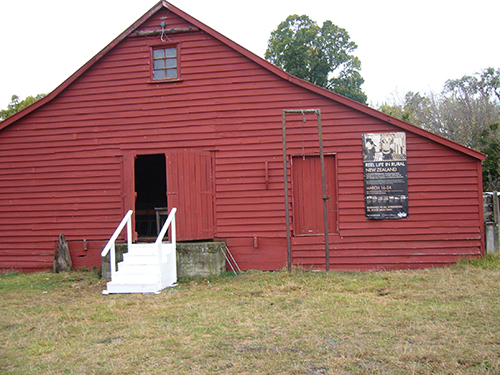 The “cinema” in Maraekakaho Woolshed. 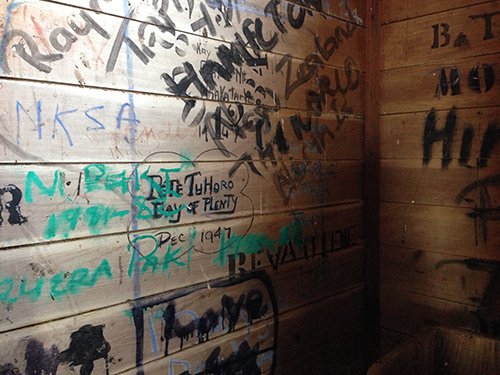 Old shearer graffiti at Maraekakaho. 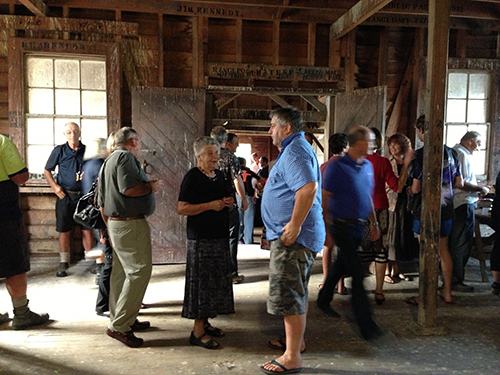 A full house at Maraekakaho woolshed – the region was experiencing a drought, and we were all very hot. 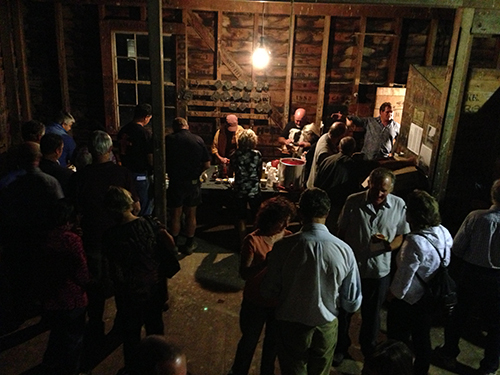 The Maraekakaho community put on a lovely supper. 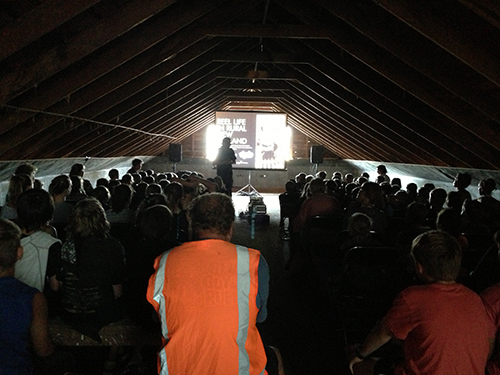 One of the daytime screenings in the smaller downstairs space at Maraekakaho. 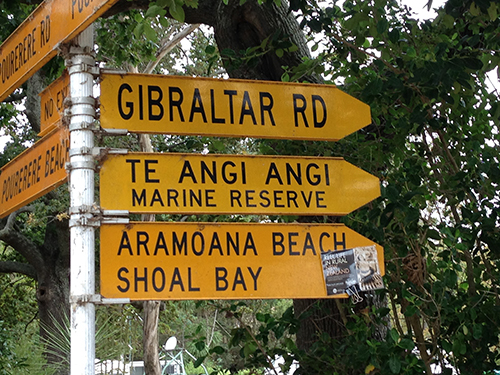 Signs to help filmgoers find their way along the gravel road to Aramoana. 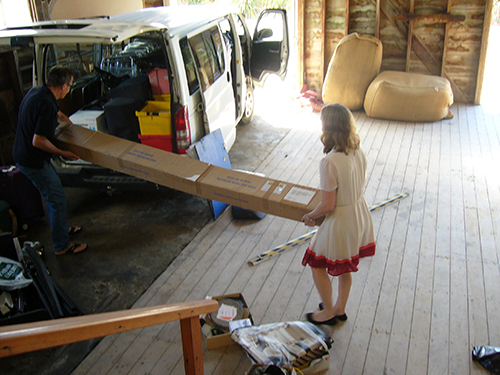 Alex and myself carrying projection equipment at Aramoana Woolshed. 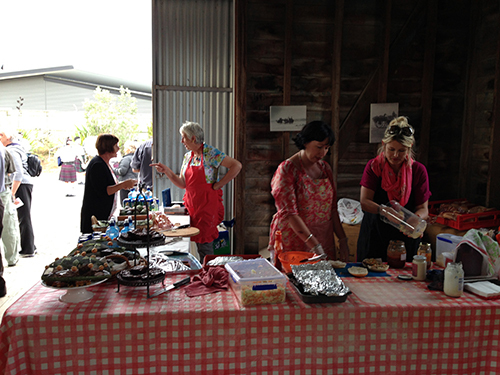 Elegantly dressed locals served snacks at the Aramoana Woolshed screening. 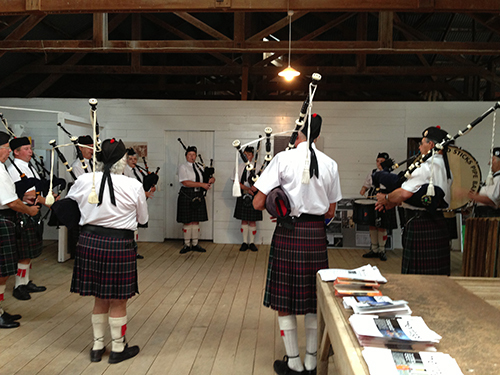 At Aramoana filmgoers were entertained by the Drones & Sticks pipe band. 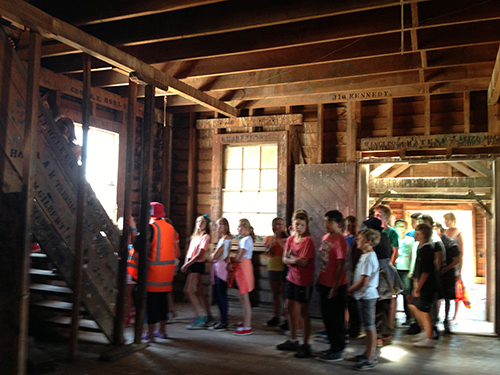 Alex with local schools, at Aramoana Woolshed. 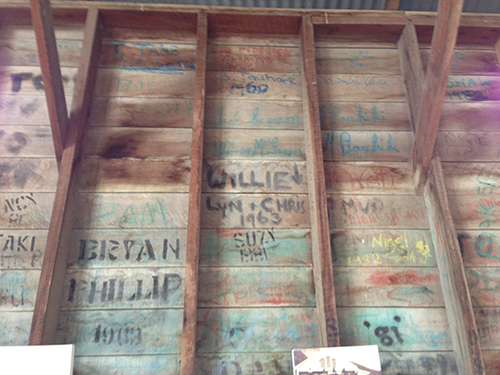 The beautifully painted Elm Grove Woolshed. 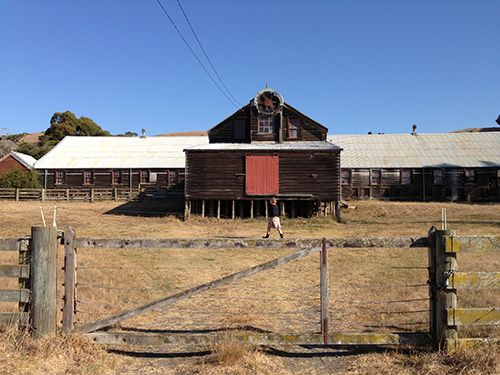 Sunny day (the area was experiencing drought conditions) Annedale Station Woolshed.